The MOT helps us identify the services, support and training that will help you maintain your independence, wellbeing and choice. 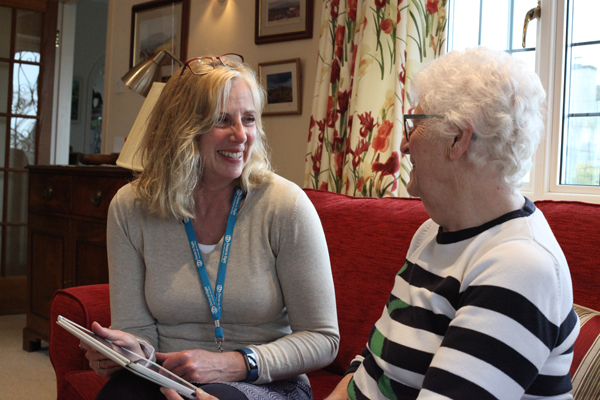 One of our Community Support Team will arrange to meet you at your home or at the nearest Devon in Sight Community Sight Loss Hub. Together we will go through each section of the MOT to identify where support may be needed and the best way this can be provided. It will take approximately an hour to complete the MOT. We are all unique, and Devon in Sight works closely with many partnership agencies to ensure that the services, support, information and advice we provide is bespoke and meaningful to you as individual.